Here are some highlights of the AWS re:Invent 2016 Wednesday keynote with Andy Jassy, CEO, Amazon Web Services. New Amazon Lightsail aims for easy Virtual Private Servers -simplified setup and management. Lots of analytics workloads now happening on AWS. A new Amazon Athena analytics service offers lightweight, ad-hoc queries on S3 storage. New AWS Greengrass puts code in IoT devices to keep some functions local deal with latency yet leverage cloud when needed. Smarthome hubs are one example where some functions are best processed in the device and not the cloud. Next gen AWS Snowball Edge data migration appliance are bigger w 100 TB storage, on-board compute. Many companies have exabytes of data so Amazon builds Snowmobile container/truck for moving to AWS S3 cloud storage. Aiming for new high volume markets and appliances at the edge of the carrier network, Broadcom announced two new product families in its StrataDNX switch portfolio. The new devices range from 30Gbps to 300Gbps and offer similar capabilities and programming models as Broadcom's flagship devices. Each device provides high performance carrier-grade packet processing, an integrated hierarchical traffic manager, external packet buffers with enhanced buffer management and advanced packet processing with expandable tables. 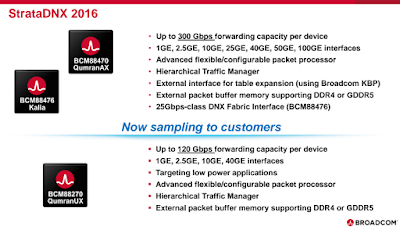 Select members of the product family also provide path for expansion capabilities, with the industry leading StrataDNX switch fabric interface, and external table lookup expansion for Broadcom Knowledge Based Processors (KBP). The Kalia, Qumran-AX & Qumran-UX families of products are complementary to Broadcom's high-capacity StrataDNX Jericho and Qumran-MX SoCs. "With Qumran-AX & Qumran-UX we are excited to deliver StrataDNX technology to higher volume metro markets,” said Ram Velaga, senior vice president and general manager, Switch Products Group at Broadcom. “With these solutions vendors can leverage their investment in StrataDNX technology and software to span the whole carrier network with a single architecture." Comcast Cable has joined the Open Network Operating System (ONOS) and Central Office Re-architected as a Datacenter (CORD) projects, which are both led by ON.Lab. Other notable members of the ONOS and CORD communities include AT&T, China Unicom, Google, NTT Communications, SK Telecom, and Verizon. Vendors participating in the communities include Ciena, Cisco, Ericsson (ONOS only), Fujitsu, Huawei (ONOS only), Intel, NEC, Nokia, Radisys and Samsung. Zayo agreed to acquire Electric Lightwave, formerly known as Integra Telecom, for $1.42 billion in cash. Electric Lightwave, which provides infrastructure and telecom services primarily in the Western United States, has 8,100 route miles of long haul fiber and 4,000 miles of dense metro fiber in Portland, Seattle, Sacramento, San Francisco, San Jose, Salt Lake City, Spokane and Boise, with on-net connectivity to more than 3,100 enterprise buildings and 100 data centers. 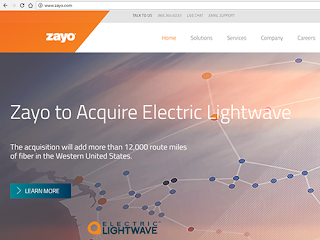 Zayo said approximately 40 percent of Electric Lightwave’s existing revenue aligns with Zayo’s infrastructure-focused business segments and will be rapidly integrated into the core Zayo organization, processes and systems. The remainder, which is a valuable and viable cash-flow generating business, has a customer base that aligns well with Zayo’s Canadian SME and voice businesses. 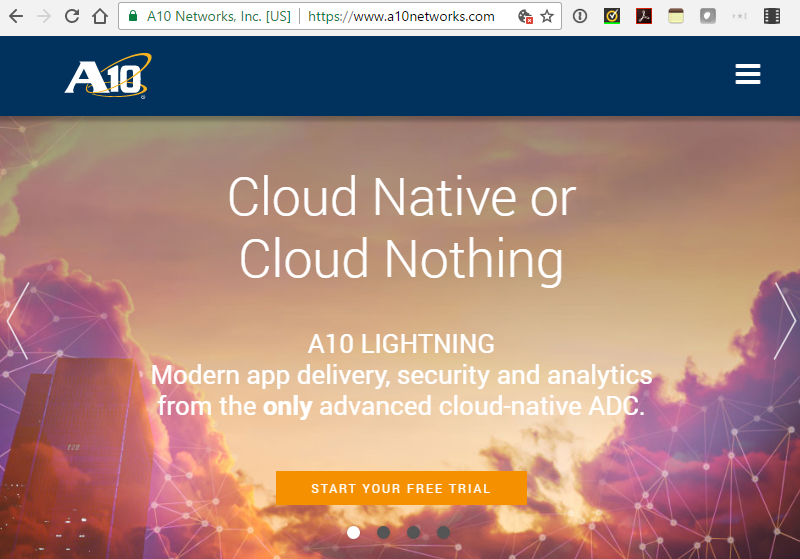 A10 Networks introduced a cloud-native software-as-a-service (SaaS) platform designed to boost the delivery and security of applications and microservices across public, private and hybrid clouds. 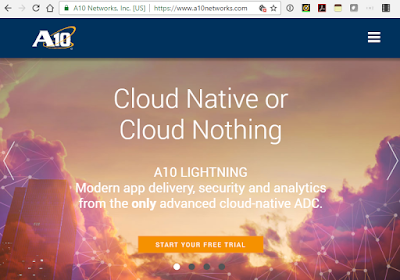 The new A10 Lightning Application Delivery Service (ADS) will run natively on public cloud environments such as Amazon Web Services - an A10 partner – and on Microsoft Azure and Google Cloud Platform. “The launch of A10 Lightning represents a strategic step in the company’s vision to help customers with their requirements of secure application services for private, public and hybrid-cloud based environments,” said Kamal Anand, general manager, cloud division, A10 Networks. 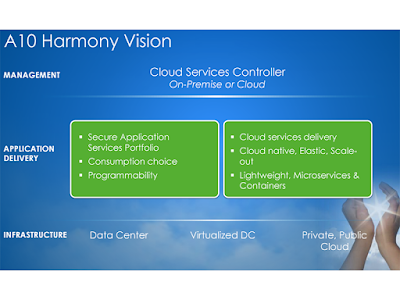 “Organizations now have a simple, cloud-native and cost-effective way to add traffic management and security to their modern applications, while gaining application visibility and insights. 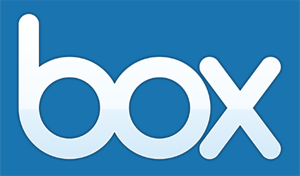 Box posted record revenue of $102.8 million for the third quarter of its fiscal 2017, an increase of 31% from the third quarter of fiscal 2016. Deferred revenue for the third quarter of fiscal 2017 ended at $192.6 million, an increase of 36% from the third quarter of fiscal 2016. GAAP operating loss in the third quarter of fiscal 2017 was $37.8 million, or 37% of revenue. This compares to GAAP operating loss of $55.0 million, or 70% of revenue, in the third quarter of fiscal 2016. BT announced the appointment of Mike McTighe as the first Chairman of Openreach, BT’s local fixed network business. 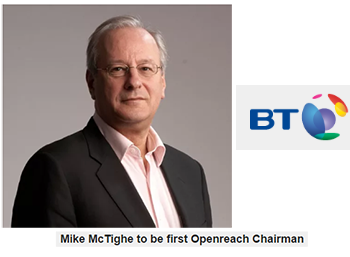 McTighe is an experienced telecoms executive and regulator who spent eight years on the Board of Ofcom. He will oversee the new Openreach Board – which will operate from early 2017 – and be instrumental in selecting further independent members to join that Board. “We promised in July to create an Openreach Board and we are delivering on that promise. I remain hopeful this significant move by BT can help to underpin a sustainable, proportionate and fair regulatory settlement that is in the interests of the whole country,” stated BT Chairman Sir Michael Rake.